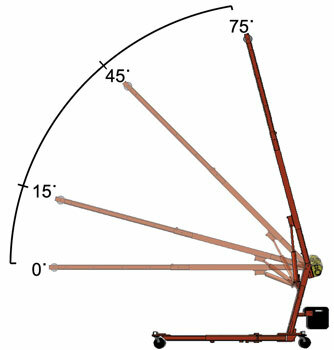 For those requesting information, thank you so much for requesting more information about the EZ Rig Crane. We will contact you as soon as possible with the information you requested. 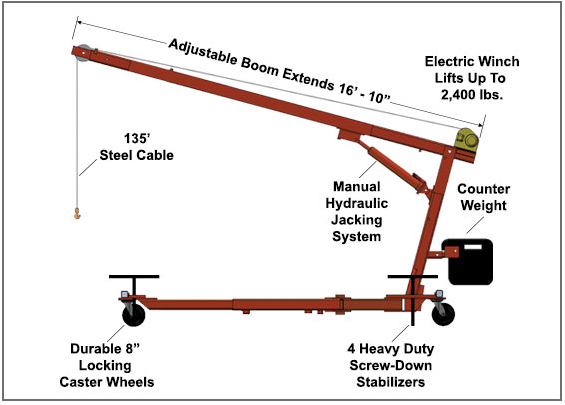 Here are some of the features, specifications, and dimensions of our mini crane. Jib Boom will now allow the crane to extend to 26 ft.
And extend out over 12 ft.
EZ Rig Crane will fit fully assembled into a ½ or ¾ ton pickup with the tail gate down, or into a 1-ton cube van with an inch or two to spare at the sliding door. If you haven’t requested more information yet, you can do that here or give us a call 805-643-4387 now.